Bundesliga | Bayern Munich's Renato Sanches: "I have no weaknesses!" Bayern Munich's Renato Sanches: "I have no weaknesses!" Bayern Munich's Renato Sanches is a man on a mission as he looks to prove he can play a leading role in the record champions' pursuit of silverware this season, claiming he has "no weaknesses". The Portuguese box-to-box midfielder has had a complicated two years since joining Bayern from Benfica in 2016 on the back of winning the UEFA European Championship with his nation. 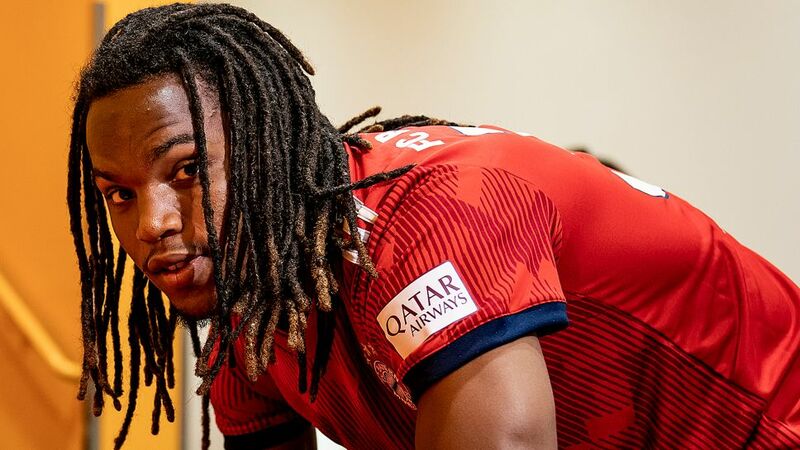 After making just 17 appearances in his first season, Sanches was loaned to Swansea City, for whom he made 12 appearances in the English Premier League last term, with a thigh injury limiting his opportunities there. Watch: From the archives - who is Renato Sanches? You would have to go back over two and a half years to find his last competitive goal – in a Portuguese league fixture – and this is something the 21-year-old says he is keen to change this season, by earning more opportunities to strut his stuff. "I'm ready to play here this season," he told FCB.tv. "I have no weaknesses; I'm strong. "My aim is to play here and stay at Bayern as long as possible I feel very happy here and it's an honour for me since Bayern are one of the best clubs in the world – anybody would love to play here and I want to work hard now and give everything I've got." His rediscovered confidence also comes from working through a full pre-season with Bayern's new coach Niko Kovac. "Of course I'm happy with the new coach – it's a new opportunity for me to show what I can do again," Sanches said. "He's a coach who pushes his players to perform, and that's something I'm very happy about, because I know I can fulfil the expectations." Sanches has yet to feature for Bayern this season, although he is in no doubt that he has made the right choice by sticking at it in Bavaria. "Bayern are one of the best clubs in the world – anybody would love to be in my shoes, playing for Bayern Munich," he said. "It's a big club, always challenging to win titles and with a great history. It's an honour to be back playing here. "I'm very happy to play at Bayern Munich, it's a great experience and a great honour for me." The youngest player in history to play in a European Championship final – and win it – is therefore focused and motivated to make up for lost time in 2018/19, and prove his club CEO Karl-Heinz Rummenigge was right when he said this summer: "we were absolutely convinced of his qualities two years ago and we're not going to give up on him now."